46350 Petaling Jaya Selangor, Malaysia. Areca Capital is committed towards safeguarding the interests of our investors; prevention of any incidence of cash mishandling or mismanagement while heeding Bank Negara Malaysia's desire for electronic payment methods for greater efficiency, transparency and accountability. 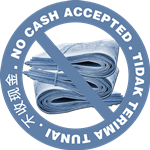 In view of this, we have embarked on a no-cash policy; where any form of cash payment, cash deposits and 3rd party payment are STRICTLY NOT ALLOWED. Clear your cache after each session. Copyright 2010 Areca Capital Sdn Bhd (740840-D). All rights reserved. Best view in IE 7.0 and above, 1024 x 768 resolution.